Orders are being taken now, be quick to avoid disappointment! Capons is an old traditional term for large Christmas chickens. Geese How about trying the real traditional Christmas dish? 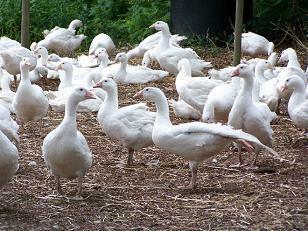 White Turkeys for those who might prefer a lighter flesh and flavour.